A lot of worries arise in caregivers’ minds as they help elderly individuals with bathing, toileting, getting dressed, and with other grooming and hygiene needs. With the aging people’s fragile bodies, lesser muscle strength, less ability to communicate, a lot of simple things can pose dangers to them. The caregivers at Lowenhill Home Care Services share what challenges care providers have to overcome when it comes to assisting the elderly with their regular routines to keep themselves clean and healthy. As people age, their bones becomes less stronger than they used to be. Consequently, caregivers worry a lot if elderly individuals will fall or hit anything as they give them a bath, help them get dressed, assist them in going to the restroom, and in helping them with other grooming and hygiene necessities. Besides their bones becoming less strong and more prone to injuries, their muscles are less stronger than they used to be as well. This means that the caregiver has to carry most, if not all, of the weight as they provide their assistance. 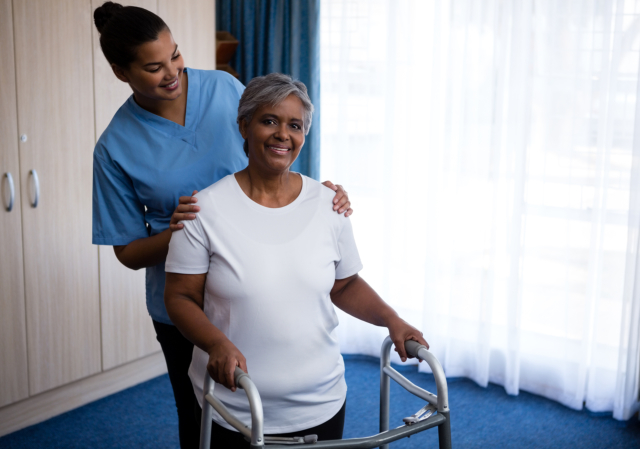 Caregivers have to be very strong and alert when it comes to helping the elderly individuals up or helping them shift positions. One can imagine the multiple concerns caregivers have as they have to lift all the weight of the elderly individuals. They have to be careful not to get hurt plus they have to clean the elderly people’s bodies, get them dressed, and so on. It is not just all about being able to perform the tasks needed for the elderly individuals. Being able to carry them and clean or dress them is just a part of the whole picture. Caregivers also have to be mindful about the elderly individuals’ comfort and feelings. Are they not cold? Are they feeling any pain? Do they want a bath? Do they like or dislike the clothes they will change into for some reason? Caregivers do not just only have to look out for the elderly individuals’ physical welfare but must also pay attention to their minds as well. The first two problems are only applicable if caregivers have elderly individuals who are willing to be assisted in their grooming and hygiene needs. However, there are elderly people who pose more challenges for caregivers in doing these tasks. Some would resist, struggle, get angry, and even hurt the caregivers physically. This is among the most feared and most difficult challenges caregivers have when it comes to assisting the elderly because this requires more strength, patience, perseverance, and the ability to calm them down and convince them to get cleaned and get dressed since this is necessary in keeping them healthy. There are many challenges that caregivers face and these are just a few among all the other assistance that Lowenhill Home Care Services provides to the elderly.